Very disappointed purchased their Smith Cart less that two years ago and it need to be updated for security reasons. Purchase their RazorCart and paid them for one hour to convert their from their old cart to their new cart. After one hour they asked for another $125.00 and again at the start of the third hour they wanted more money. They should have told me before when I talked to them about a upgrade what the cost would be. Now have a website that I can not be use. have spend close to two years adding product to the site. Now I have to start over and look for a new shopping cart There products are not design to be easily upgrade. and their for not a product I would recommend for someone looking for a long term relationship for a shopping cart developer. The last shopping cart I had for over 15 years "PDAdmin" only reason I changed was they no longer support the use of two currencies. No comparison is service, reliability or after purchase costs. As a long time SmithCart user, I'm very happy with the new RazorCart. The updated look is great ... clean and professional. The new Admin control panel is also very well designed and creating products, coupons, etc. are now easier than in the past. Also, kudo's to Kelli at Smith Consulting who helped us get up and running, importing products, etc. She provides excellent customer support and really cares about her customers. Smith Consulting puts out great products and even more important, provides GREAT support and customer service. I was contracted to build out a symposium registration website and decided to implement it using an eCommerce model. Attendees register for the symposium, along with several hospitality events. Exhibitors and sponsors also register through this site. I was able to use product variants to create options such as a variety of sponsorship levels and exhibitor spaces. I have used DNN since v1 and created eCommerce sites using a variety of modules, but have never used SmithCart or RazorCart from Smith Consulting. I contacted them and discussed the project and decided to hire them with premium support to help get the site up quickly because of a compressed timeframe to launch. In the end I did a large amount of the work, but getting the initial support from them was a key to success. I received great support from Dave, Kelli and Wael all along the way. We went live today and collected over $28,000 in registrations in just a few hours. So my client and I are very pleased with with the result and support we have received. I realize that this is different than building a product site with hundreds or thousands of SKUs and so I can't speak to using RazorCart for that purpose directly. But having built those types of sites with other modules I feel confident in saying it would be a great module. If you are new to DNN or eCommerce, I would recommend purchasing the initial setup service and possibly premium support as well to maximize your chances of success. An honest and more detailed review. We purchased this after extensive research and testing of other ecommerce tools. It is absolutely a nice clean user experience for the most part, very easy to use the features available. Has a few benefits others' don't, such as DNN 9 integration, the viewsets and central admin UI. However, it is missing quite a bit of basic functionality, not all the modules are fully responsive and it has more than it's share of bugs, especially with the checkout module. The reporting capability is minimal and the couple of exports available are not comprehensive. For instance, variant groups export into one field, meaning you can't easily filter or sort on variants individually, without some excel manipulation. Also, in order to print shipping labels, you have to be willing to use (and pay) for a 3rd party shipping management system. And the tool is very limiting on what you can do in bulk for large orders and inventory. One example, you cannot modify orders statuses bulk and since the exports aren't setup properly, you can't easily update status in excel and import all at once, you are forced to click into each order individually in the UI which is tedious when you have hundreds or orders. Also, while it may seem robust in shipping cost capability, it's actually overly-complicated and missing simple options such as "flat rate plus" ($4 for 1st item, $2 each additional item). It's a nice looking tool for sure, but has quite a lot of growing to do. Even SmithCart offers more functionality and flexibility in areas, though not all. As for support, if you don't purchase a support package, they will offer you zero technical assistance except links to their manual, which is extremely lacking and incomplete. We receive insanely better support from every other DNN vendor for every kinds of tool we've purchased as a consulting firm, and without the overhead. Frankly, we're surprised at the other reviews, but perhaps they are all dnn developers. We were told by sales this tool had many features that it doesn't and also that it was 100% easy to use out of the box. Unfortunately, we've had to create work-arounds in basic ecommerce business practice in order to use razorcart. It's lacking many elements even simple wordpress tools offer. Hope it grows into more, but seems we likely won't get upgrades free when it does. Customer support is amazing. Very helpful. Very friendly. At least Kelli was, she went out of her way to make sure I got the help I needed, found the answer for which I had been searching, and got me up and running again. Very impressed. We use RazorCart for a number of commercial clients as its functionality has hugely helped with the streamlining of our processes. The add-on modules further extend the functionality and with our recent move over to deploying on DNN9, Razorcart is full featured and easy for us and our clients to navigate. We previously tried a number of e-commerce solutions for DNN but none of them were as flexible as RazorCart, nor was customer support on par with the level that we have received from Smith Consulting. Very pleased with the RazorCart module. Easy to setup and configure and support has been excellent. Very strong enterprise level eCommerce module for DNN. 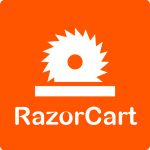 Purchased RazorCart during it's initial release. The interface was super intuitive, clean, and updated looking. Viewsets is a great feature to be able to modify the UI without having to lose anything necessary to function. The team has been excellent to work with for customizing specific needs here and there. Updates are quick and efficient. Kelli has been on top of everything walking me through every step to get set up. Highly recommend this company and their newest product RazorCart.